Hello! My name is Takeshi. Please call me Tony. My hometown is Tokyo. I worked for a Japanese company for more than 30 years. Before joining the company, I received a master's degree in engineering in the United States. After retiring from the company two years ago, I began working as a licensed guide interpreter in English for foreign visitors. I would like to guide you to places you are interested in and share with you the Japanese culture in my guided tours. The famous chicken ramen can be made instantly at home by adding hot water. During this tour, we will make our own Chicken Ramen at the Chicken Ramen factory in Yokohama. Enjoy the entire process of kneading, spreading, steaming and seasoning the wheat flour and drying it with the flash frying method. The Red Brick Warehouse (Aka Renga Soko) consists of a pair of heritage buildings complete with a shopping center, banquet hall, and event grounds. It is located next to the port of the Minato Mirai district in Yokohama. We will take either a Shinkansen from Tokyo or the Odakyu Limited Express train from Shinjuku to Hakone. At Lake Ashi you can enjoy Hakone’s various rides including the ropeway, cable car, and cruise ship. Between Hakone-Yumoto and Kowakidani stations is the steepest in Japan for an adhesion railway. You can see a switchback zig-zag of a train. Hakone is a great place to explore history, culture and the beauty of nature throughout the year. 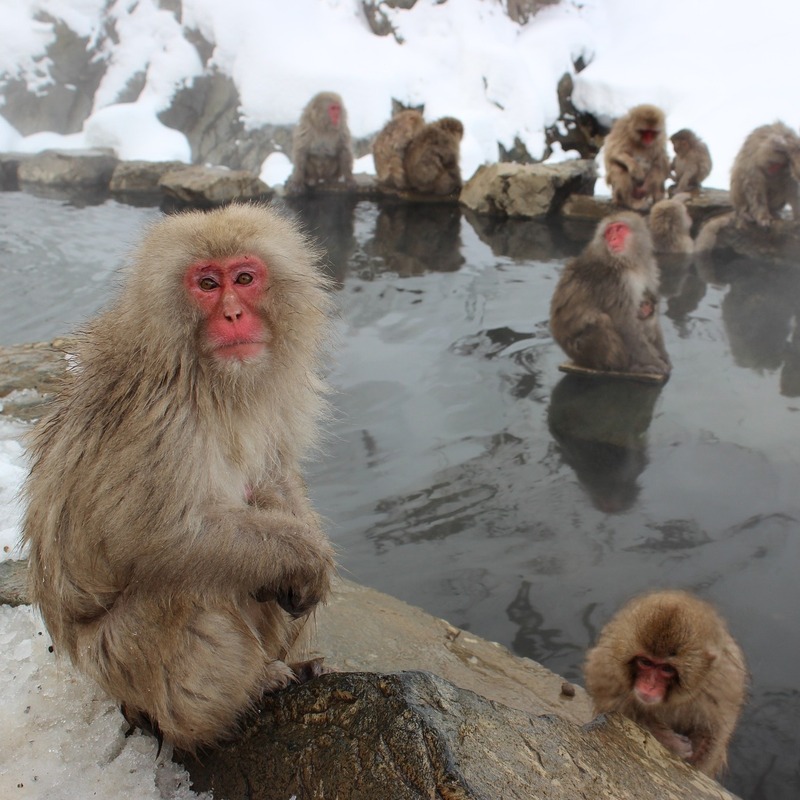 US $293.00 Go to see wild monkeys enjoying Onsen!! Located in Northern Nagano, Snow Monkey Park offers visitors rare opportunity to observe the wild Japanese Macaques in their natural habitat. Visitors can enjoy observing them at very close distance throughout the year. The town of Obuse is famous for chestnuts confections and there are many traditional shops offering delicious chestnut treats and delicacies. The historic town is also renowned as the beloved town of Edo Period painter Katushika Hokusai. Nikko is located about 125 kilometers north of Tokyo and makes a good one-day trip from Tokyo. It will take about two hours from Tokyo with a limited express. It is a home to world heritage sites including Toshogu Shrine, Futarasan Shrine, and Rinnoji Temple, but also it has great nature surroundings. We will visit Nikko by public transportation and walk around the sacred area surrounded by beautiful nature. 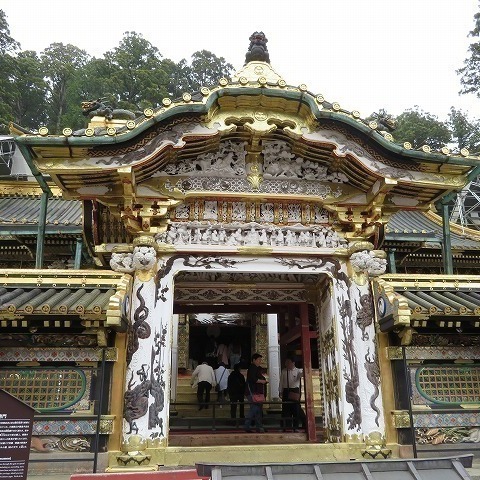 The main highlight of the tour is the Toshogu Shrine. We will see some famous animal decorative ornaments such as Three Wise Monkeys and The Sleeping Cat or “Nemuri Neko”.